This is one of your items. 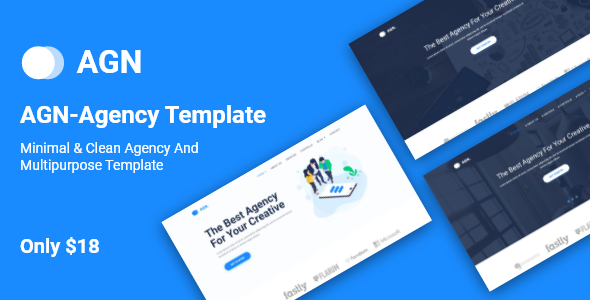 Best- Agency, Agency Landing Page, Agency HTML 5 Responsive Landing page Template.AGN is a clean & creative Agency landing page template. It’s well organized, fully customizable and very easy to use. It’s fully responsive and built with bootstrap 4. The Best is the best for Agency Soluation. incorporated with Bootstrap 4.1.x, forum and Agency, it uses the nice clean search engine optimization practices. The AGN helps responsive Google ads and AdSense. If you need any help using the file or need special customizing please feel free to contact me via my Themeforest profile. If you have a moment, please rate this item, I�ll appreciate it very much!....Thank you.